Whenever somebody talks about Italy, it’s always about Rome, Milan, Cinque Terre, Florence… The list can go on and on and it’s mostly cities included. However, Italy is a country that can fascinate its tourists with its natural landscape, just as much as with its vibrant city life. A huge number of lakes, mountains, woodlands and beaches is something you can see all throughout Italy. But, no matter in which region you are, you will find a natural wonder that will charm you completely! We’ve picked our ten favorite – which one you would put on your bucket list? 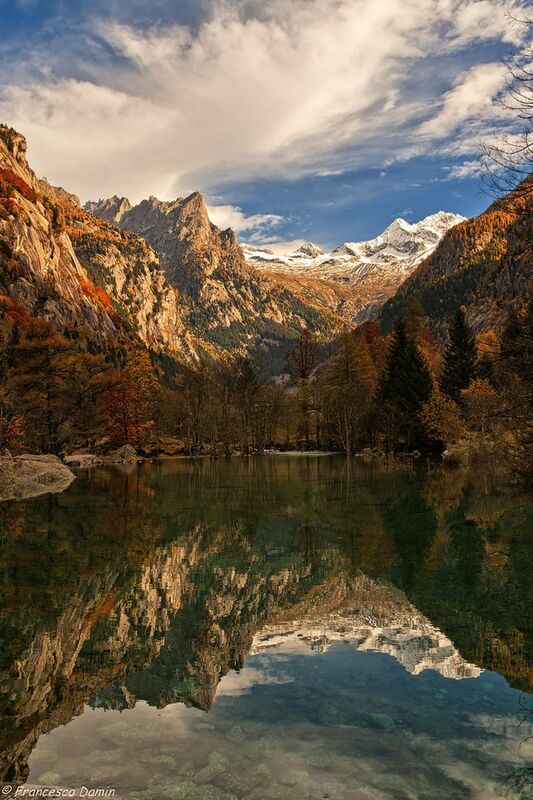 Val di Mello is the largest natural reserve located in Northern Italy’s region of Lombardy, near the border with Switzerland. 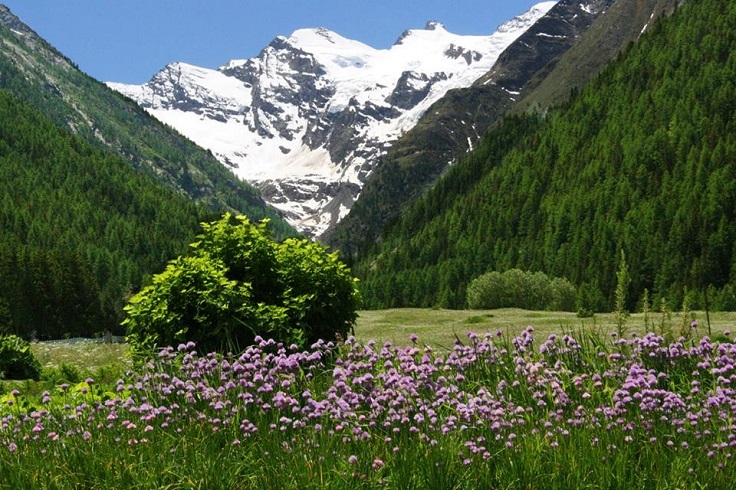 The whole place is consisting of three groups of valleys – Val di Mello, Val Masino and Valle dei Bagni. The whole place is known for its amazing mountain sports conditions, especially climbing and hiking. Val di Mello got really famous within the past decade, when the Melloblocco bouldering festival started to take place here every May. Val d’Orcia, or also known as Valdorcia, is a place in the well – known Italian region of Tuscany. Green hills surround the picturesque towns and villages in the region, which is known for the high – quality wine production. 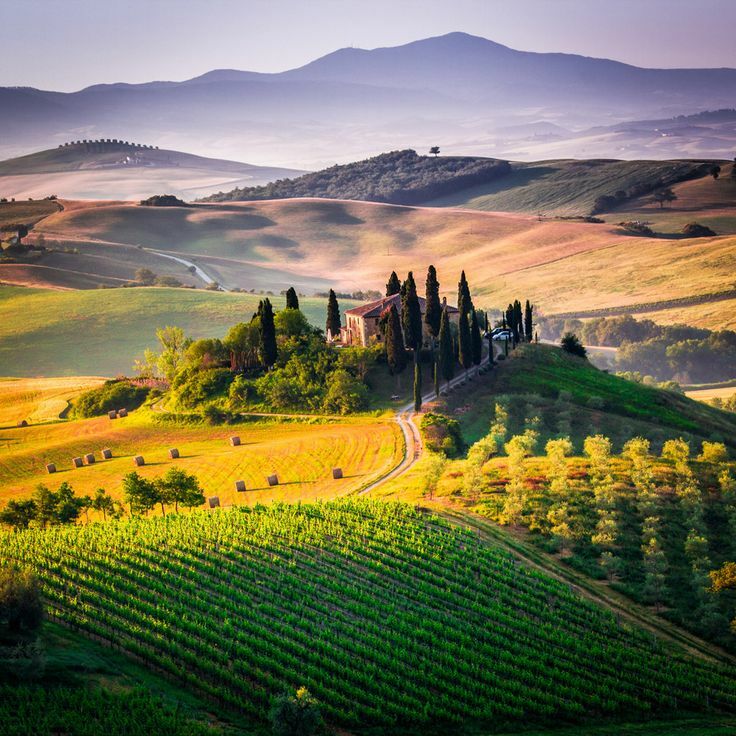 From 2004, Val d’Orcia is considered a UNESCO World Heritage Site thanks to its breathtaking agricultural landscape and place in Italian’s art history. 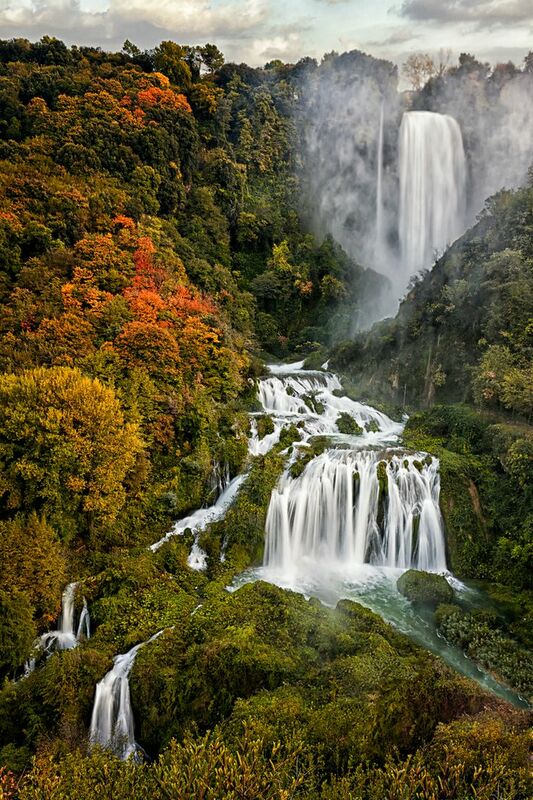 The Marmore’s falls, or as they’re called Cascata delle Marmore in Italian, are a man – made waterfalls near Terni, the capital of the region of Umbria. The waterfalls are created 2.000 years ago by the ancient Romans and their source is the river Velino. Besides enjoying the view of the Marmore waterfalls, you can explore the area and enjoy the gorgeous nature surrounding you! 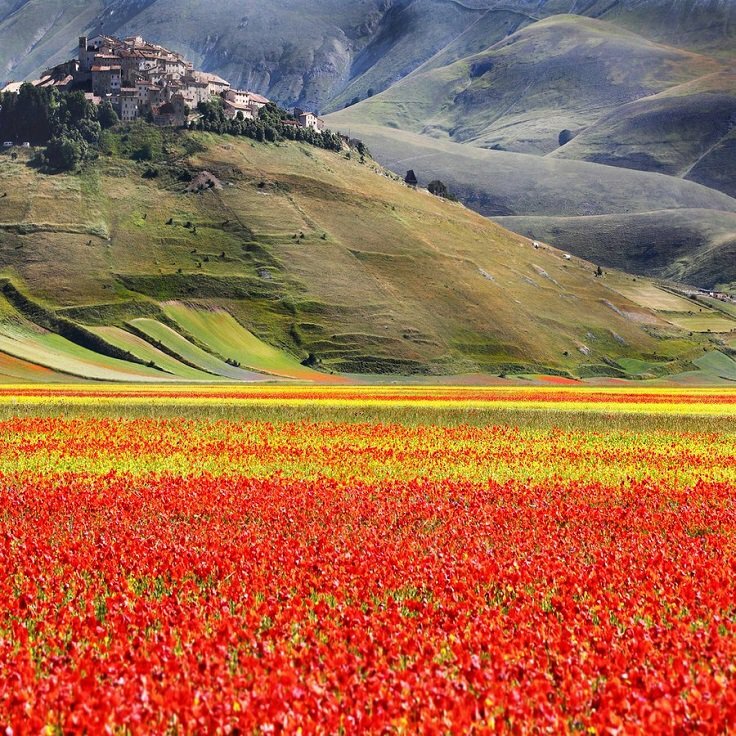 Monti Sibillini is a national park located in the regions of Umbria and Marche. It was established in 1993 and ever since it represents one of the most beautiful parks in whole Italy. Monti Sibillini represent a mountain chain with wonderful green valleys and plenty of flowers during spring and summer. 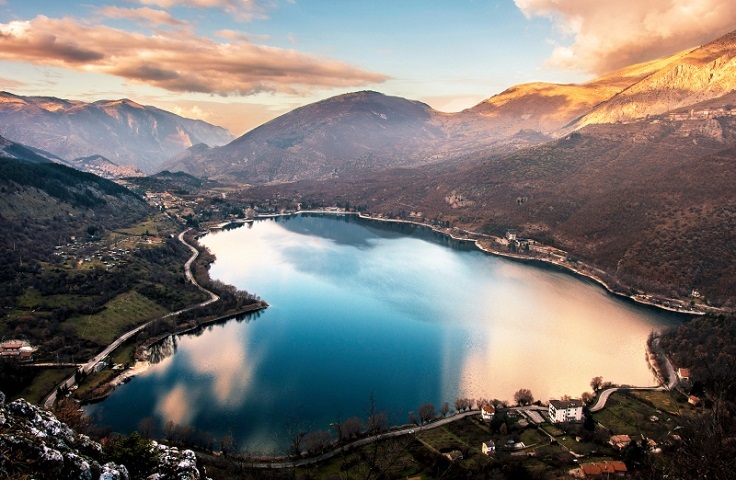 Lago di Scanno, or lake Scanno in English, is a wonderful lake located in the province of L’Aquila in the region of Abruzzo, Southern Italy. It is also the largest lake in the region with amazing emerald – colored crystal water. Right above the lake is the small town of Scanno, which is a charming place with cobble streets and medieval architecture. This national park got its name after the same called mountain – Gran Paradiso, located in the Graian Alps, between the regions of Piedmont and Aosta Valley. It is also the oldest national park in Italy and it used to be a hunting ground for the King Vittorio Emmanuel II. There are mesmerizing woodlands and alpine grassland that will take your breath away, so make sure to include the Gran Paradiso national park on your bucket list. Here’s another lake on the list and this time it is one of the three big prealpine lakes – Lago di Maggiore. It is the second biggest Italian lake and it is located between the regions of Lombardy and Piedmont, as well the Swiss canton of Ticino. 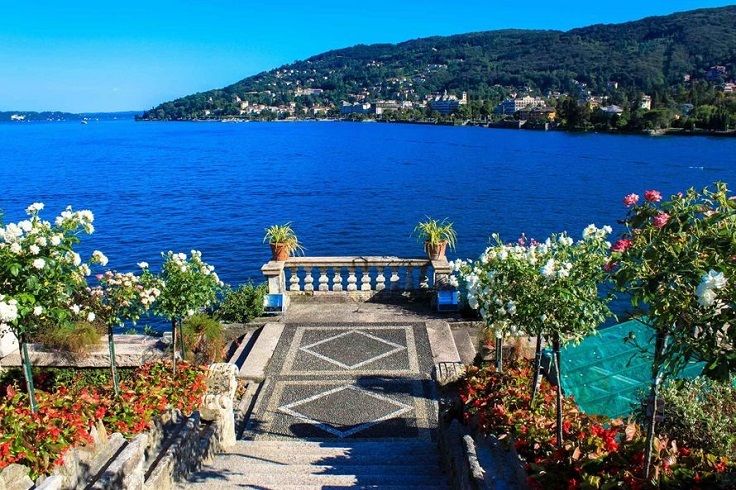 The lake, as well as the towns along its coastline are known for their flower gardens, where you can find rare and exotic plants. The climate is mild all year round, which makes this place so dreamy. The Dolomites are a complete must visit for every tourist, no matter what! 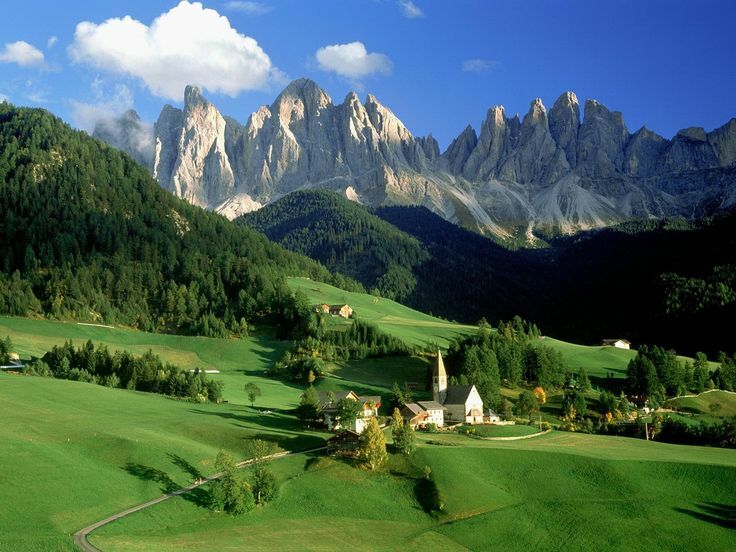 We’re talking about a mountain range located in northeastern Italy that since 2009 it is a UNESCO World Heritage Site. You can find small towns and villages in the mountains that will charm you absolutely with their alpine grasslands all around and the tall Dolomites in the background. 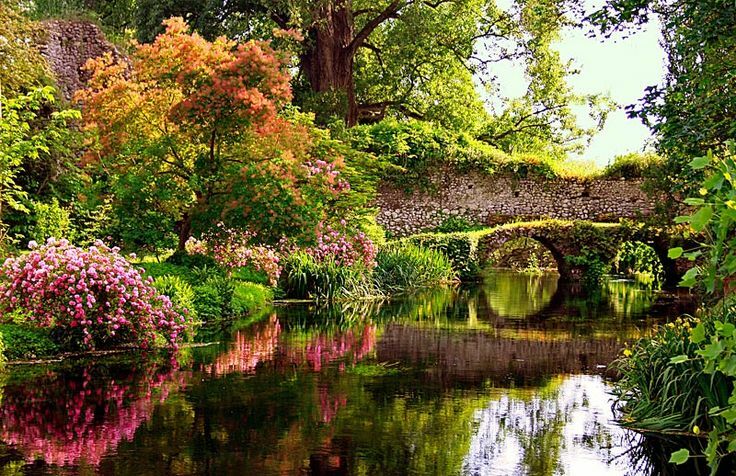 Giardini di Ninfa or Gardens of Ninfa in English, are a lanscape garden in central Italy that will make you feel as if you stepped into a fairy tale – you will know right away why the New York Times declared these gardens as one of the most romantic in the world. They are built on the ruins of the medieval town of Ninfa and are declared as natural monument by the region of Lazio. 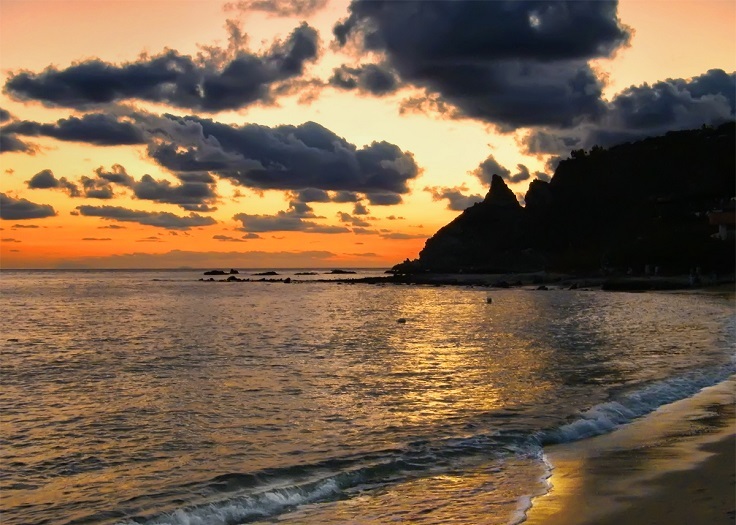 The southern Tyrrhenian coast has the name Costa degli Dei or Coast of the Gods. The reason why this coastline has such name is simple – there are bays, capes, white sand beaches and crystal clear blue water of the Tyrrhenian Sea. It is really impressive, just take a look at the sunset! The Coast of the Gods is located in the province of Calabria in Southwestern Italy.